And we couldn't be happier about it! We are very pleased to introduce Dr. Rob Jones to all our partners in the Academy. 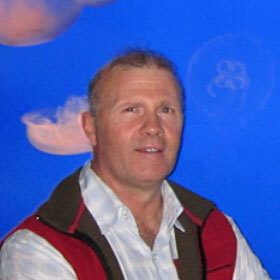 Rob is an aquatics animal veterinarian who specializes in the care of both freshwater and marine animals. Dr. Jones has agreed to present two live webinars from Australia before the end of this year. We have asked Rob to introduce himself and share a bit of his story with you here. Hello, mates! From the accent, you have probably already realized that I come from the Land Down Under (Australia). At the age of 12, I decided that I wanted to be a veterinarian and graduated from Melbourne University in 1977. For many years, I owned a large veterinary hospital where I would see any animal that walked or was carried through the door. .
Having always had an interest in fish, I decided to follow that as a career, and in 1999, I commenced a master's degree in aquaculture. In 2008, I passed the examinations for Aquatic Animal Health for the Australian College of Veterinary Scientists (at this time the highest level of specialized examinations for those specializing in fish anywhere in the world). I started with the Melbourne Aquarium (now Melbourne Sea Life Aquarium) in September 1999. I organized the research team, working on artificial reproduction in sharks since 2003, which culminated in our first artificial insemination shark in March 2014. I am now the Regional Veterinarian for the Sea Life Aquariums in Australia and New Zealand and spend many hours traveling. I also consult for Aquarium Industries (Australia's largest importer and wholesaler of aquarium fish), several Zebrafish facilities, and service an increasing number of other clients. I have come to realize that there are no shortcuts to gaining knowledge in the aquarium field. 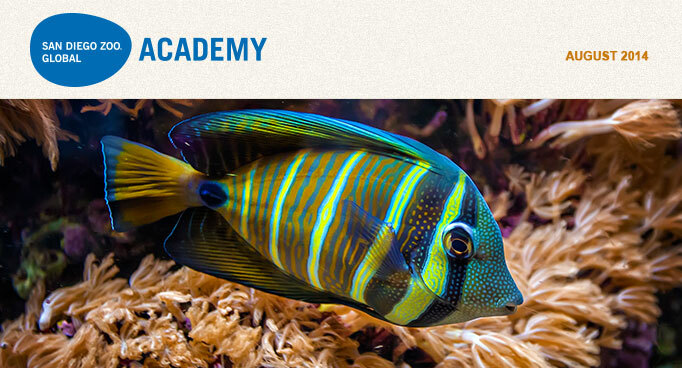 In May 2011, I launched the world's first online course for aquarists: the e-quarist course™. For more information, please visit my website at theaquariumvet.com. This September and again in November, I will be presenting a free, live webinar for all members of the Academy in the USA and Canada. In the first webinar, we will take a close look at the gills of fish. I call them the powerhouse, as they are extraordinary organs that permit life underwater. Please contact Debbie DiBacco at ddibacco@cypherworx.com to reserve your place for this live webinar from Australia on Wednesday, September 24, 2014 at 10 a.m. PDT. Meet Dr. Rob Jones in person at AZA Annual Conference in Orlando, Florida this year at vendor booth #426. At San Diego Zoo Global, we've created an internal temporary employment agency that we call the "Roar Corps," which is in its first year of operation. 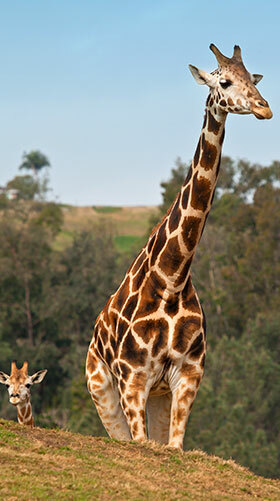 It was the brainchild of San Diego Zoo Global Chief Human Resources Officer,Tim Mulligan, and his HR teams at the Zoo & Safari Park. The two teams' common goal was to provide the animal care departments with pre-qualified employees who have the passion, training, and flexibility to step in and assist with animal departmental shortages on a moment's notice. Roar Corps members are employees whose home departments have agreed to allow their participation in this two-year program. 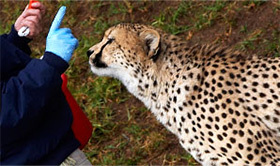 Roar Corps is made up of employees who work in a variety of different departments and who have a common interest in gaining the skills needed to someday work directly with the Zoo's animals. Most applicants have already had volunteer experience with animal rescue organizations and/or a college degree. Applicants also write an essay about why they want to be in the Roar Corps. It is a big commitment for the home department. Members might be gone for two or three days a week or for 30, 60, or 90 days, and even up to 6 months in one year. Total time away does not exceed one year during the course of the two-year program. Communications are through a human resources coordinator and are critically important for the home and receiving departments and the employee. The successful animal care applicants are required to take and pass a physical examination before being offered employment. In addition, all Roar Corps members are required to register with the Academy, take the four prerequisite animal care training classes, and pass them with 90% or better. The Academy content is a free benefit to our employees that is available 24/7. So, members are encouraged learn on their own and to take the remaining nine Animal Care Fundamentals classes while waiting for their opportunity. As of the end of the second quarter of this year, two Roar Corps members have been hired as keepers at the Safari Park, and two have been hired at the Zoo in the Education Department to work with animals. We now have a faster process for filling openings. Roar Corps members are getting hands-on experience and becoming known to animal care managers and supervisors. Participants love it. They are learning and hopeful for their future in an animal care position, and they are eager to take the online classes offered in the Academy because the content is directly relevant. At the end of the two-year program, the first group will have gained valuable experience, and we will have gained loyal employees and a deeper pool of experienced staff. Living Desert—Palm Desert in the Spotlight! 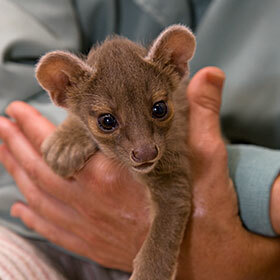 The Living Desert—Palm Desert joined the San Diego Zoo Global Academy's collaborative learning environment! Now they will have two privately branded customized sites, one for their employees and one for their volunteers. Welcome! We will once again have a booth at the AZA Annual Conference this year, booth #239, so please come by and see us! If you have Academy questions, or to schedule a time to meet with us, please contact Jon Prange, jprange@sandiegozoo.org or Gary Priest, gpriest@sandiegozoo.org. On Wednesday, August 13, 2014, at 10 a.m. PDT (1 p.m. EDT), CypherWorx, the San Diego Zoo Global Academy partner, will be presenting our third Administrators Users Group meeting. This is an opportunity for administrators of private sites to discuss resources, share ideas, and ask questions. Our agenda will include discussion around the new reporting groups, along with special reporting features. We'll also show administrators how to assign courses. If you are interested, we'd love to have you join us! Register to reserve your spot for this webinar here. My Academy and The Volunteer Connection are the privately branded custom employee and volunteer sites at San Diego Zoo Global. With the launch of the San Diego Zoo Global Academy, we also set out to integrate online training into our own organization, and this section of the newsletter highlights helpful hints from our respective sites. When an institution subscribes to Custom Sites, there is the opportunity for comprehensive training by using the platform, catalog, and the ability to create courses. In addition, safety is an important topic, so we also share our use of the Academy resources for our safety training efforts. Do you require your employees or managers to take required courses or a certain number of courses a year? If so, with the new custom reporting feature, you can now use dates to run your reports (by month, quarter, or year). The reporting allows you to access information quickly and easily. Want to drive more traffic to your Volunteer Connection site? Or are your volunteers having trouble finding what they are looking for? Create a course catalog! 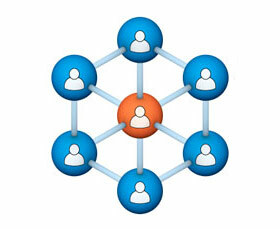 You can organize it by group, sharing who has access to each group and what resources are available there. Your volunteers will be amazed at the volume of resources available, and they are sure to jump on the site to learn more. How did we roll out the use of our Custom Site to our safety representatives (a.k.a. Safety Committee) at San Diego Zoo Global? In My Academy, I created a Group called Safety Representatives and recruited a small test group to check out the site and resources. I then rolled out the platform to the group at our April quarterly committee meeting. Once all of the members enrolled, I found the ability to efficiently push out new training. Communication is simple within the Academy framework, and with the default notifications set, members get an e-mail whenever new items are posted in the group page. All future meetings are made into Events, so that members will easily see them listed on the Community Calendar. Documents are easy to locate when posted in the Resources area with a tag of Safety and Security. The takeaway is an enhanced safety program that can begin to leverage the Academy collaborative learning environment.